Home » International » Ambassador of the U.S. to Barbados, Saint Kitts & Nevis, Saint Lucia, Antigua & Barbuda, Dominica, Grenada, and Saint Vincent & the Grenadines: Who Is Lee Rizzuto, Jr.? Ambassador of the U.S. to Barbados, Saint Kitts & Nevis, Saint Lucia, Antigua & Barbuda, Dominica, Grenada, and Saint Vincent & the Grenadines: Who Is Lee Rizzuto, Jr.? When President Donald Trump’s White House announced on January 4 that “Leandro Rizzuto of Florida,” would be nominated to be the next ambassador to Barbados, and also to St. Kitts & Nevis and to Saint Lucia, it botched the job in two ways, leading to unnecessary confusion and embarrassment. First, Leandro Rizzuto had passed away a month before, on December 3, 2017. Trump wanted to nominate his son, Leandro Rizzuto, Jr. Second, the nomination covers Barbados and six other Caribbean nations, not just St. Kitts & Nevis and Saint Lucia. Rizzuto is senior vice president for professional global business units at Conair Corporation, the consumer products company where his father was chairman and near-100% owner until his death. Not known to be an expert on the Caribbean, Rizzuto contributed $449,000 to Trump’s campaign. If confirmed by the Senate, he would succeed Linda Swartz Taglialatela, who served from December 2015 to January 2017. Leandro Rizzuto, Jr., was born March 20, 1962, in Brooklyn, New York, to Leandro Rizzuto, Sr., and Anne P. Rizzuto. Rizzuto Senior had co-founded Continental Hair Products with his father only three years before, in 1959. 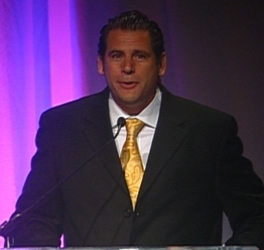 Rizzuto Junior grew up around the family business, and studied marketing at Arizona State University from 1980 to 1982 before dropping out to work for the family business. Like his father, who in 2002 “pleaded guilty…to a multimillion-dollar tax evasion scheme that stretched from Connecticut to Switzerland to Hong Kong,” Rizzuto Junior has also run afoul of the law. In 2012, at his 100-acre mansion compound in Stamford, Connecticut, Rizzuto filled in wetlands, demolished and renovated old buildings, and built new ones—all without even bothering to apply for the needed permits. Sued by the city of Stamford, Rizzuto eventually had to wave the white flag, agreeing to pay $35,000 to cover fines and legal expenses related to the case and to restore the wetlands he filled in. Leandro Rizzuto, Jr., is married to Sherrie (Ofiero) Rizzuto, with whom he has three children.